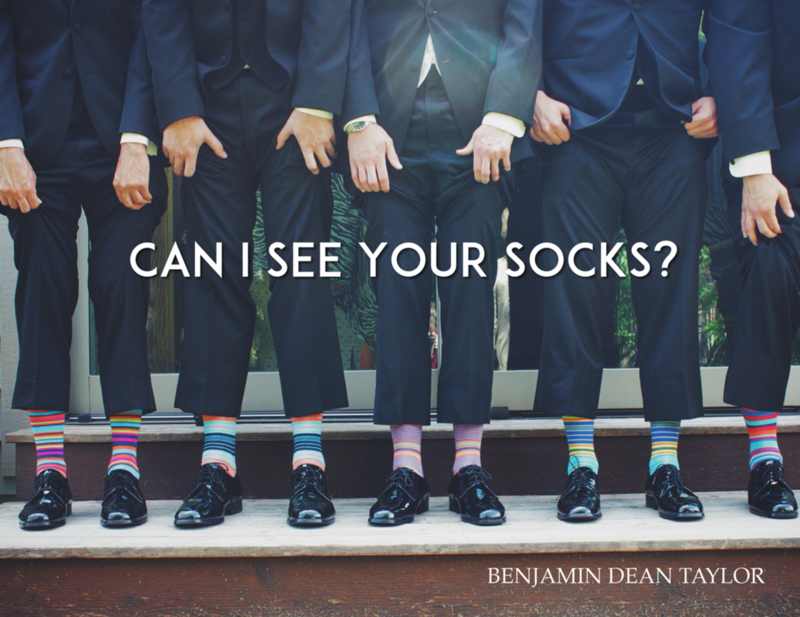 Can I See Your Socks? Commissioned by Pete Sampson and the Whiteland Community High School Jazz Band One, Whiteland, Indiana. Pete and I met at the Bloomington Jazz Festival where I was one of the guest clinicians. After getting to know me and my music a bit, he decided to program my chart "High Road" and invited me to come work with the band. So I arrived at the school, walked into the band room, and the very first thing I heard was a band member ask, "Hey, can I see your socks?" I'm sure I must have looked confused as I slowly raised my pant leg to show my plain old dress socks. The students good-naturedly laughed and expressed their disappointment. Pete quickly jumped in to explain that wearing fancy dress socks was sort of an inside joke between the band members and so they always ask anyone working with the band to see if they had cool socks. Well, I'm happy to report that since this experience I have become a convert to wearing colorful dress socks! I absolutely love the little extra flair it adds to the otherwise dull choices men can make when wearing nice clothes. So thank you band for inspiring for this piece and helping me add some spice to my wardrobe!